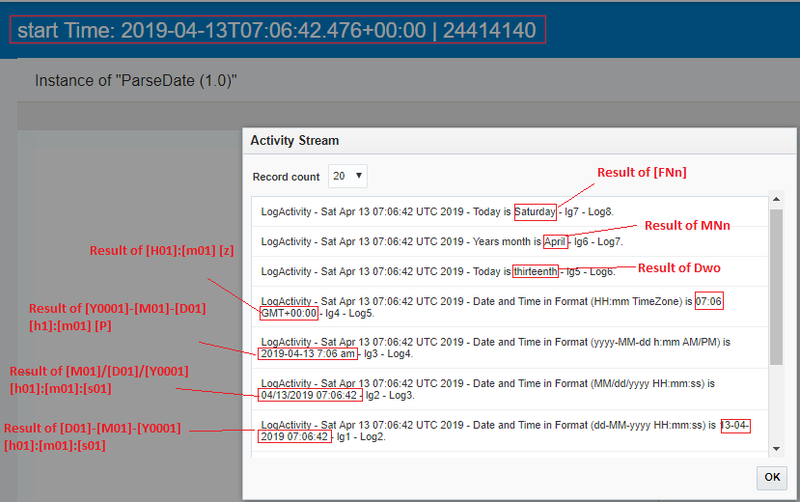 We got a request from multiple folks saying they are struggling to change the date time format in Oracle Integration Cloud. We are writing this article to see how to change the default date format(2019-04-13T05:09:05.049+00:00) to a different format. Generates the capitalized name of the month. 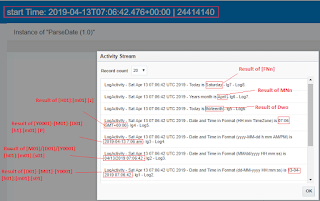 Open the activity stream and see the values of all 8 variables. 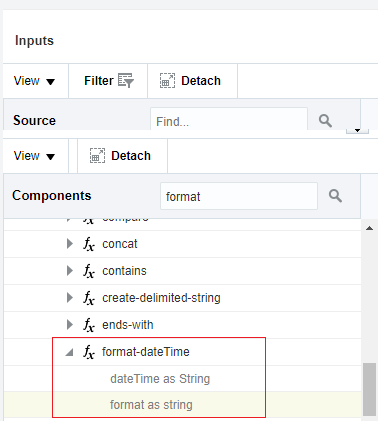 Notice the start time(since we have given the start time as an input of the function) and accordingly the result of each format. 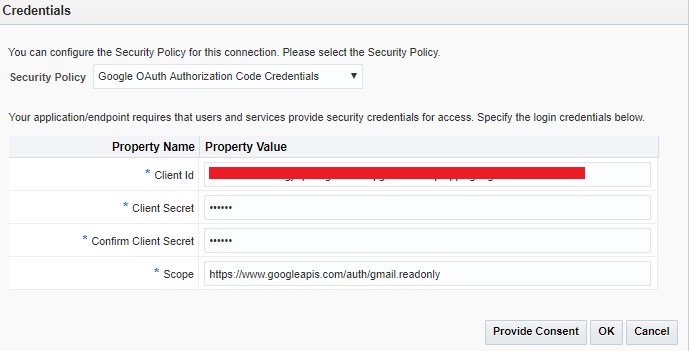 In the article, we'll show how to fetch the attachments from email and dump the attachments on the SFTP server. 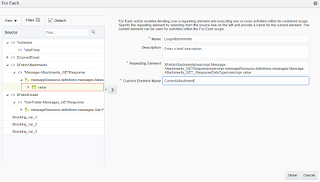 Create a scheduled integration with name "GetAttachments"
What do you want to call your endpoints: Enter the name of your choice let's say "FetchEmails"
Name: Enter the name of your choice, let's say "LoopEmails"
Current Element Name: Enter the name of your choice, let's say "CurrentEmail"
What do you want to call your endpoints: Enter the name of your choice let's say "FetchAttachments"
Choose an operation "Get an attachment collection" and simply click the Next button. Name: Enter the name of your choice, let's say "LoopAttachments"
Current Element Name: Enter the name of your choice, let's say "CurrentAttachment"
What do you want to call your endpoints: Enter the name of your choice let's say "WriteAttachment"
Specify an Output Directory: Enter directory location where the attachments will be dumped. 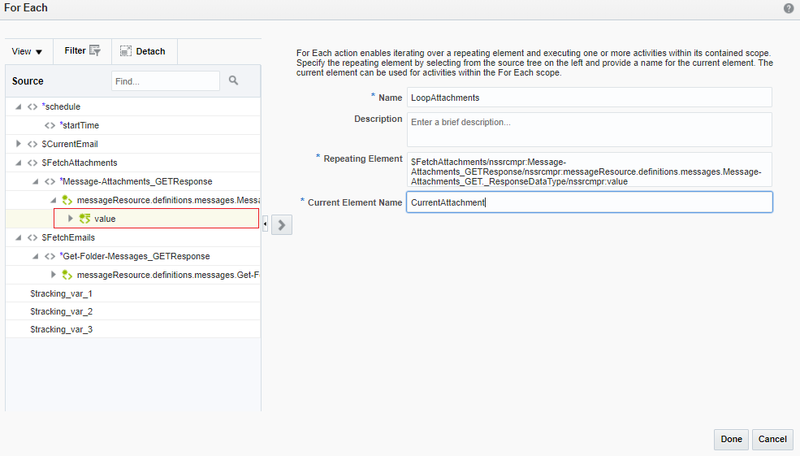 In our case it is "/home/opc/attachments"
Specify a File pattern: Let's say it is "abc.csv"
This is how attachments can be fetched from outlook Inbox and save it to the SFTP location. 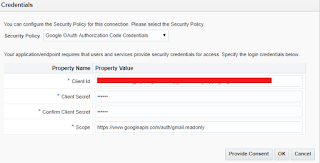 The Gmail adapter of Oracle Integration Cloud enables us to create an integration with the Gmail application. This is one of the OOB adapters that Integration Cloud offers. 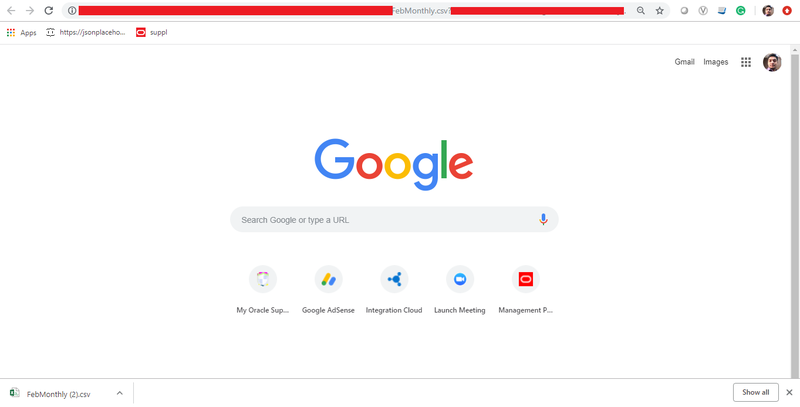 In this particular article, we'll show you how to create Gmail connection using Google Email adapter. 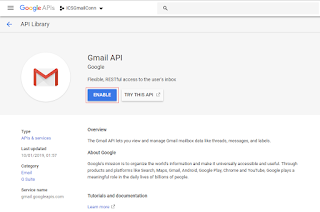 To use the Gmail adapter, we must have access the Gmail APIs. 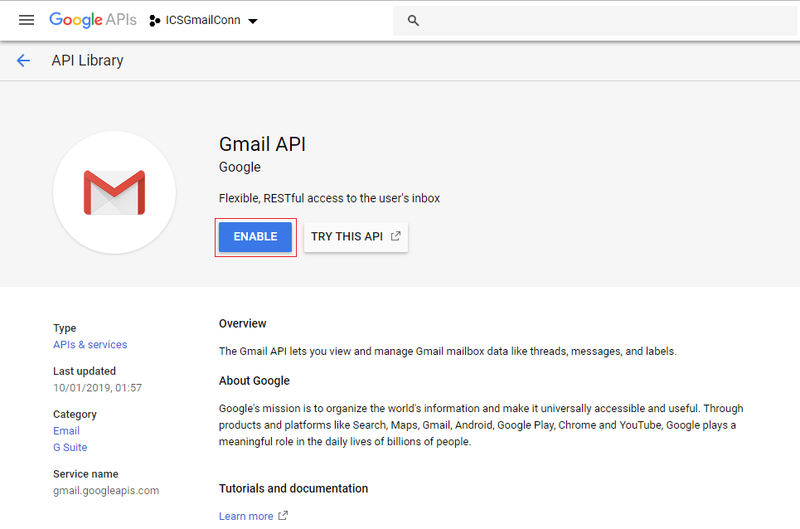 So to access the Gmail APIs, we must create the Gmail project. 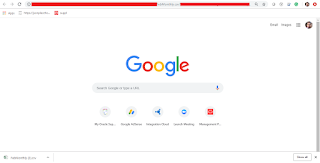 Now let go ahead and create the Gmail adapter connection.